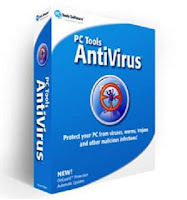 PC Tools AntiVirus Free is both antispyware and antivirus software that makes sure that your computer and private information remain safe and secure. PC Tools AntiVirus Free offers you real time protection against all kinds of malicious threats such as keyloggers, Trojans, worms, bots, spyware, adware, known viruses and basically all kinds of malware. This software uses spider scanning technology to identify and remove any infectious files in the shortest time possible. In addition, PC Tools AntiVirus Free features automatic updates and upgrades so that you can be sure that you are protected at all times against the latest malware.